Our unit is 1 min away from the bus stop. 10 min walking distance to the beach and there is loads of shops cafes around the house. Everything is 5 min walking distance. Not even! Location is perfect for a person who enjoys the bondi lifestyle. Also Public transport to the city is pretty easy with a bus and a train. Own Room with Queen bed | OCEAN VIEWS FROM ROOM! | Spa Bath Room is for single person only, no couples please. # The room: - 2 fully furnished room available with Queen Bed, mirrored wardrobe and side tables. One of the rooms is larger and has ocean views from the room! - Ceiling fan - Share modern bathroom with only one other that isn't home much (bathroom includes modern spa with lights!) - Additional $20/week for all bills # The place: - Two balconies, both with stunning ocean views, see photos!! - 3 bedroom &amp; 2 bathrooms - including Spa! - Fastest possible NBN Internet with unlimited download. - Beautifully renovated apartment with modern open style kitchen &amp; large gas stove top. - Fully furnished with all modern necessities such as LCD TV, dishwasher, internal laundry etc. - Lock up garage for small amount of storage. In a sought after North Bondi location, 2 min walk to North Bondi Beach and North Bondi Bus Terminus (where buses start so you always get a seat!). Prefer longer term house mate. -Basically available straight away - Happy to have you mooch off my Neflix! We have FetchTV with all channels and NBN internet! There's also a car spot available. The balcony is west facing and gets gorgeous sunlight streaming through in the afternoon and a nice cool breeze when the summer afternoon storms roll through. It's a quiet spot where the living area is fully furnished and really comfy. Beautifully renovated, spacious, clean private room with a large garden, you’ll be sharing the flat with two easy going people. Portuguese-Aussie girl and a French guy. ALL BILLS INCLUDED. 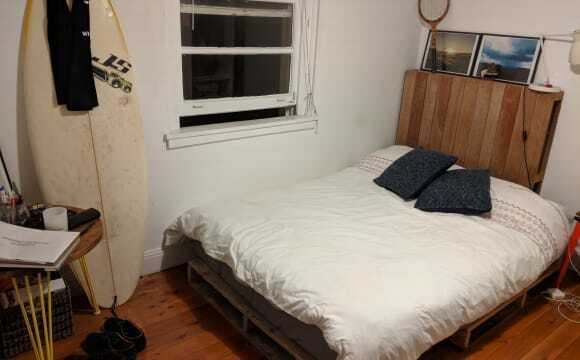 Beautiful HUGE fully furnished bedroom in a3 bedroom (2 bathroom) flat in North BONDI! The building is a 4 unit building right beside Shuk cafe and 20 second walk to the bus stop. Roughly 7 minutes walk to the beach... It's a beautiful quiet street and there is always parking. The apartment itself is beautiful and modern - must see! Description of the home Fully furnished freestanding house in North Bondi. House - 4 x bedroom, with garden and outside seating for 10 people. Very homely and relaxed atmosphere in Bondi beach house style home. Wooden floors and a good sized garden. Outside space is ideal for lunch and BBQs and a nice place to chill whilst Bondi is busy. Available for long-term lease, or short term lease, happy with either! Excellent house close to the water with big garden and good vibe. Close to the water, Cafes and restaurants of North Bondi. 4 minutes from the water on Hastings Parade. 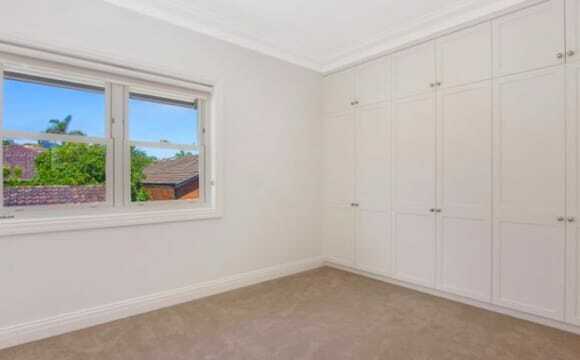 Lovely recently renovated (carpet free) apartment, 7 minutes walk from Bondi Beach. 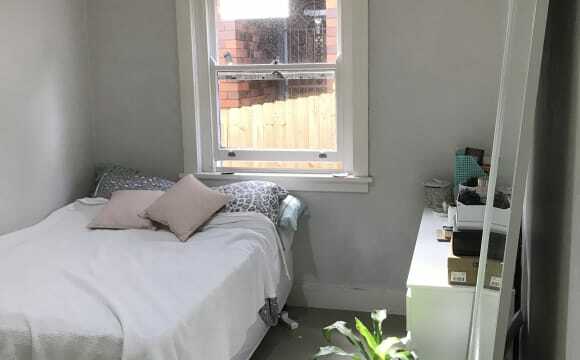 Bus stop towards City and Bondi Junction available just around the corner 333-380-379 Common shared spaces and room currently available as per picture. Nice and cozy lounge, totally new gas kitchen, awesome little shared toilet. Great house ,large sized bedroom with a good sunroom , lots of style , great front and back entertaining areas , we have a fire pit in both . Vege garden , close to the beach and shops / public transport . Quiet street . Good energy around the house . $330/wk including bills North Bondi. Great location - 10 min walk to Bondi Beach. Bus stop at the front of the street that goes directly to Bondi Junction. Bills and Internet included. Available from 02/05 - 07/06. Room has a built in wardrobe and double mattress. Flat share with 2 girls. This flat is located 5 minutes from the famous Bondi beach. The bus stop is right next the front door and the area is very good surrounded by restaurants and coffee shops. The flat is furnished and it includes washing machine. Located a street back from Bondi Beach, 2 minute walk to shops, buses, and the Beach plus all its restaurants and cafes that is has to offer. Floorboards and Built in wardrobes. Light filled. Please note the room will be unfurnished. (optional bed included upon request) Large paved backyard, bathroom with separate bath, marble kitchen with oven &amp; dishwasher. AVAILABLE NOW, bill are NOT included. All bills and internet are split equally between housemates. We have a cleaner come once a fortnight NO COUPLES PLEASE. Large flat with 3 bedrooms, with a balcony you can see the ocean from - on the 3rd floor, perfect for catching the sunrise with breakfast or sunset with dinner/drinks. Fully furnished living space, the bedroom is flexible on furnishings and includes a large mirrored built-in wardrobe. The housemate who is leaving is happy to sell the bed and drawers or can take them with. The medium size room can easily fit a queen bed and still has space for other items of furniture. Loads of light and a sea view. We have a garage, perfect for off street parking for a moped/motorbike or if you require a lot of storage space. There is also off street parking for a car. The flat is a 5 minute stroll away from the beach and even closer to the local brunch spots like Depot, Harry's and Shuk. The 379 bus stop is right behind the apartment building which can take you on into the city via Bondi Junction and the 333 stop is a short walk away. The 380 stops at the end of the road which takes you up towards Watsons Bay. Woolies is conveniently located nearby and we're also very close to the Bondi markets at the weekend. Internet is monthly and we only have an electricity bill to pay, which is quarterly. The furniture is different to that in some of the pictures.